Cars defect are among the most dangerous defective products cases. This is why the National Highway Transportation Safety Administration maintains detailed records of safety recall matters. The defective product return law in Maryland protects consumers and allows them to return a product and ask for a refund at any time if the product was defective when purchased. So here is what you need to know about cars and their defects that can put you in danger. When the brake mechanisms or accelerator pedals freeze suddenly, putting the driver and all the other passengers in grave danger. If any of the above situations arise, the manufacturer has to recall the product and investigate the problem. But what about your defective product claim in MD? What actions can you take to make sure that you aren’t the one to suffer because of the manufacturer’s mistakes? If you have been hurt by a defective product, you may have a solid defective products claim in MD. But even if you haven’t been injured yet, in case your car has been recently recalled, there are some legal remedies you can pursue. A great personal injury lawyer from Maryland knows all of them and will advise you properly, depending on your situation. You can recover economic damages with the help of your Annapolis injury attorney. 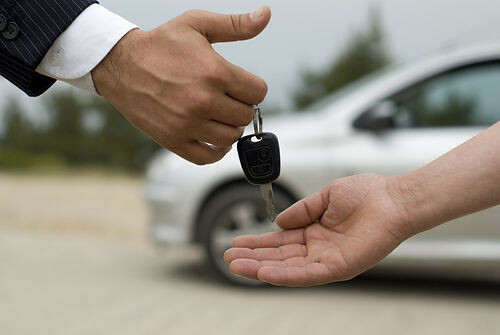 This means that you may be able to recover the lost value of the car’s resale value and, according to your case, you may also get compensated for the loss of use of the car. If you have been hurt because of the car’s defect, you can get compensated for personal injury. This is a more complicated situation, and you will need to discuss it further with your Annapolis injury lawyer. There is also the case when many people are affected by a car’s recall and, in this situation, they have the option of a class action lawsuit. Normally, the manufacturer should reimburse you for the repairs or a replacement vehicle, but this depends on the defective products laws in your state and the manufacturer’s policy. The best way to deal with a car recall is to contact a personal injury lawyer from Maryland and ask for advice. Call the best Annapolis injury attorney at (443) 569-3950 or send us an email at [email protected] to receive a free consultation and further advice.